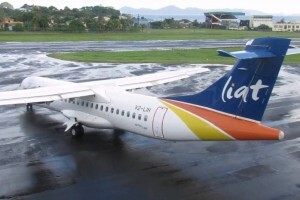 ST JOHN’S – Regional airline LIAT and its pilots appear to be on a collision course again, with the pilots’ union saying that already strained relations between the two sides are now at “an all-time low”. The Leeward Islands Airline Pilots Association (LIALPA) has accused the Antigua-based company of failing to honour a salary deal with pilots. And it is giving the carrier until the beginning of next month to do so or face action. LIALPA said that since late 2012, it was in negotiations with LIAT on salary increases, but the carrier engaged in stalling and legal maneuvering that included filing legal action in both the High and Industrial Courts. However, it said that in the spirit of fostering and maintaining a good relationship with LIAT, the union accepted a salary package offer from the company in January 2017. “We accepted this deal on the premise that the pilots would make this a one-off concession to ensure the survival of the company. To date, LIAT has not honoured this agreement with LIALPA and has even gone so far as to reject our attorney’s suggestion that a Consent Order be obtained in the Industrial Court to formalize the salary agreement (which covers the years 2012-2017), thus paving the way for its implementation,” it said in a statement issued today. “LIALPA would like to once again make a final appeal to LIAT to honour its agreement with the pilots by June 1 st, 2017, in order to avoid any further escalation of this matter. Failure to do so would leave the association with no other choice but to act, so as to protect the interest and rights of its membership,” LIALPA added as it urged LIAT to “change its present course and respect the basic principles of industrial relations and collective bargaining”. The union did not say, however, what the nature of the action would be. It contended that LIAT has demonstrated that it “continues to act in bad faith” in other instances as well. LIALPA pointed to the company’s insistence on unilaterally imposing another salary deferral programme on the pilots, even though the association has publicly objected and rejected it. It said it had made its position very clear to the Board of Directors and shareholders at a meeting held in Barbados on April 4, and management has ignored the fact that the association has placed the matter before the Industrial Court for determination.